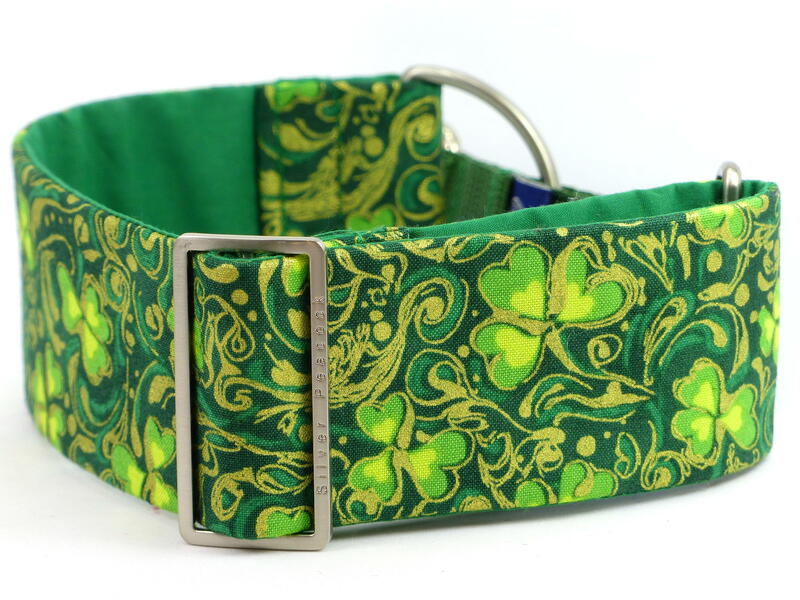 This collar is going to be perfect for all those Irish hounds, "Luckys" and anyone wanting to celebrate St. Patrick's day in style!! 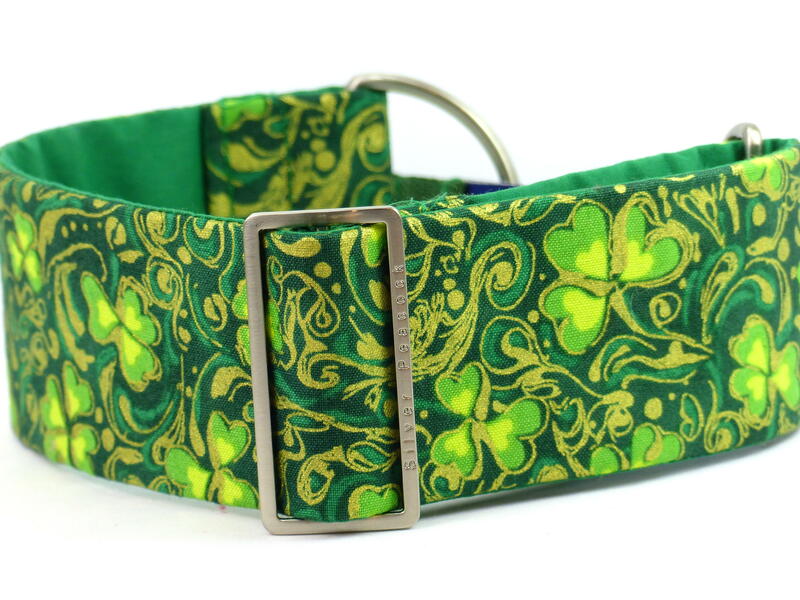 This fabulous printed cotton is covered in green clover/ shamrock on a dark green background all highlighted with lots of gold coloured metallics. 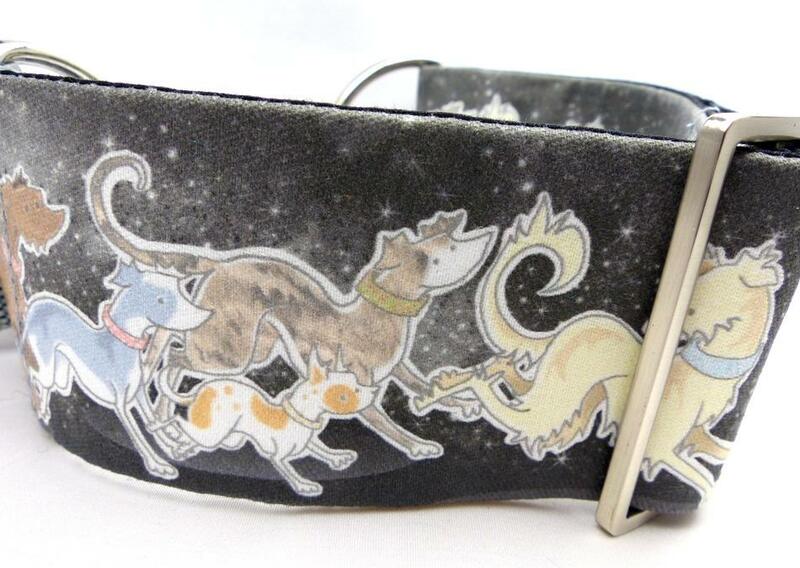 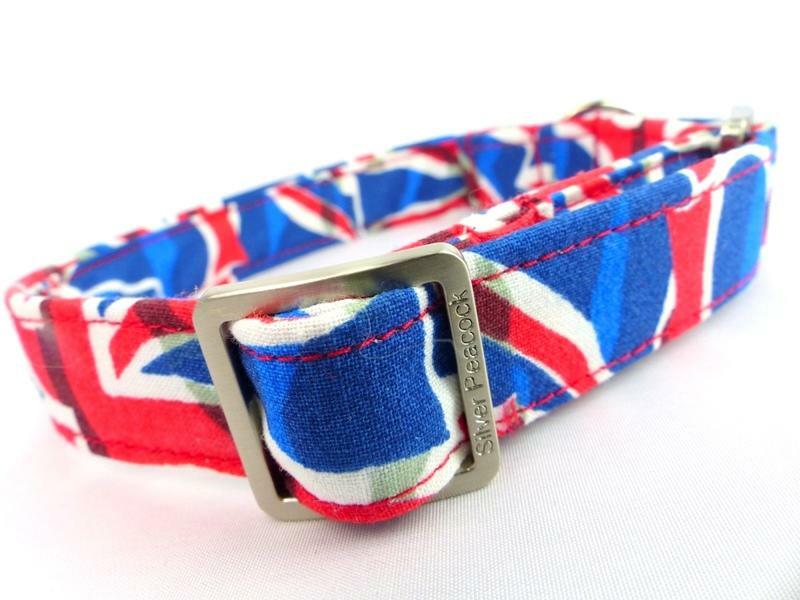 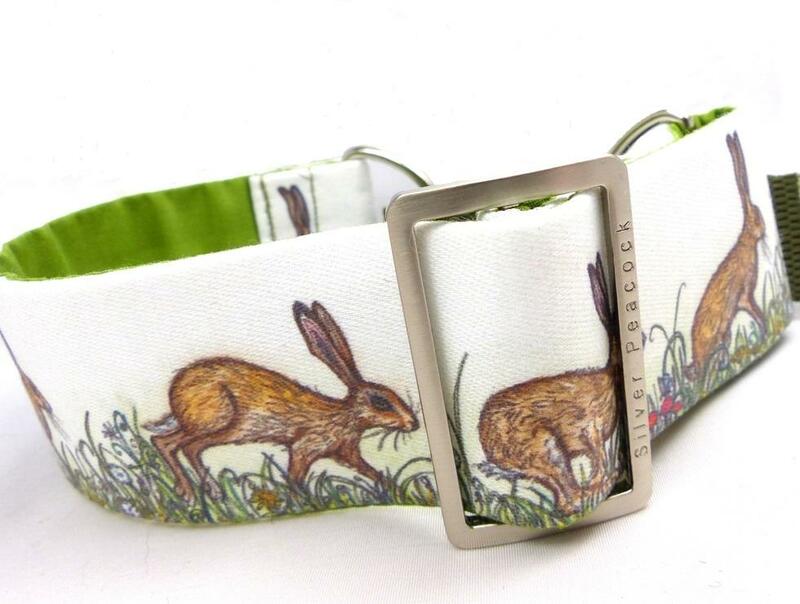 The collar is lined with green fabric and is finished with robust silver coloured hardware. 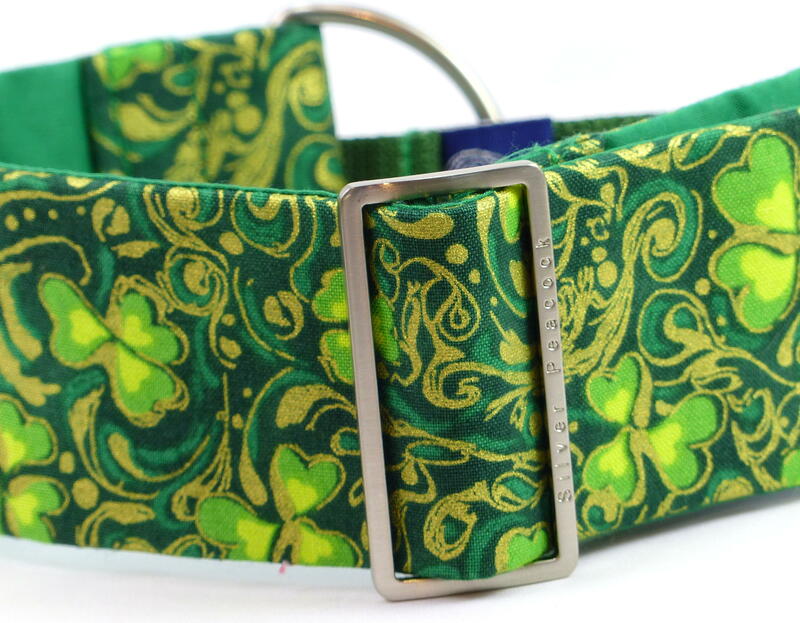 The martingale version has a forest green webbing section.